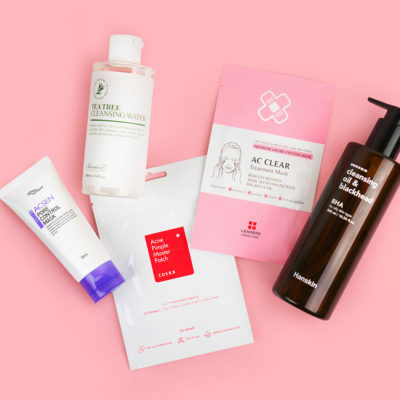 Discover the process fermented skin care products go through in Korea and why they’re some of the best products for seeing fast and amazing results. 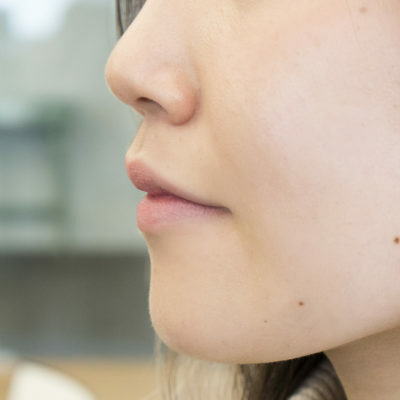 Fermented ingredients are at the heart of Korean skin care. But how exactly do they benefit your skin? 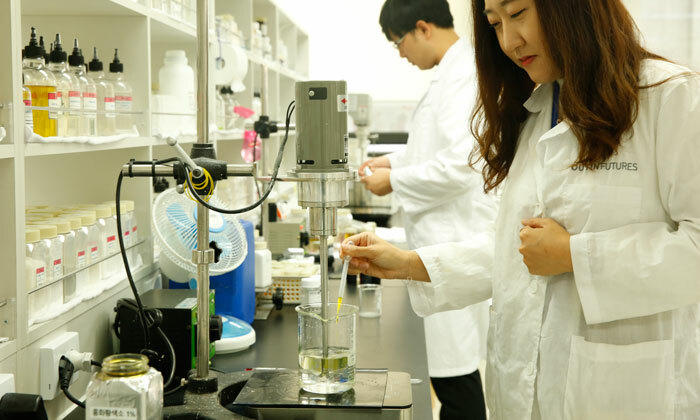 We reached out to the team at Outin Futures, a leading cosmetic R&D lab in Korea, for the answers. Below is a summarized version of our conversation with Outin Futures. What does fermentation mean for products? It means adding microorganisms like bacteria to natural ingredients. The microorganisms release enzymes that break down the molecules in the raw material, which then leads to the creation of new substances that benefit your skin. Fermentation helps skin absorb the product better. Normally, your skin cannot easily absorb the actives in natural ingredients. This is because the molecular size of the actives is too large. But through fermentation, microorganisms break down the molecules into smaller sizes, so your skin can easily absorb the skin-benefitting ingredients. Fermentation reduces the chances of skin irritation. 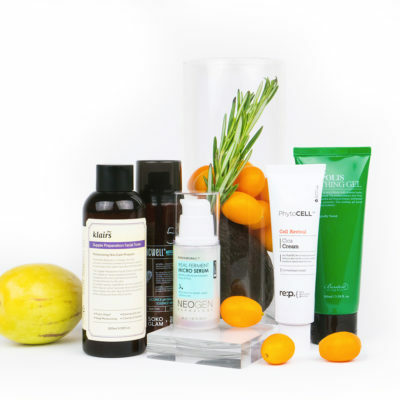 Some natural raw ingredients contain toxic substances like heavy metals and pesticides that irritate the skin. The fermentation process neutralizes these substances, making the product safer, more effective, and suitable for sensitive skin types. On top of that, fermentation using yeast can lead to the creation of special substances that prevent the generation of harmful microorganisms, which further reduces the chances of skin damage. Fermentation creates new skin-benefitting substances. The fermentation process gives rise to new amino acids, organic acids and antioxidants to help hydrate and nourish the skin. 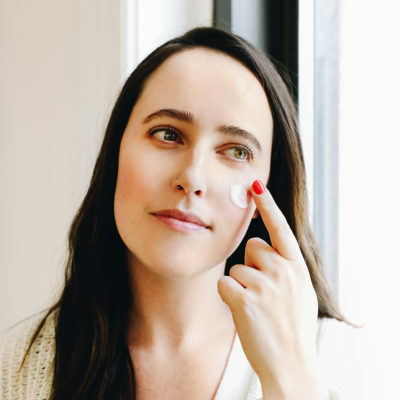 In this way, natural ingredients often used in cosmetics—like milk, vegetables, and herbs—can see an increase in nutrients through fermentation. These benefits work synergistically with one another to help your skin become healthier overall. Now that we’ve covered the benefits of fermentation, let’s take a closer look at how fermented products are made. 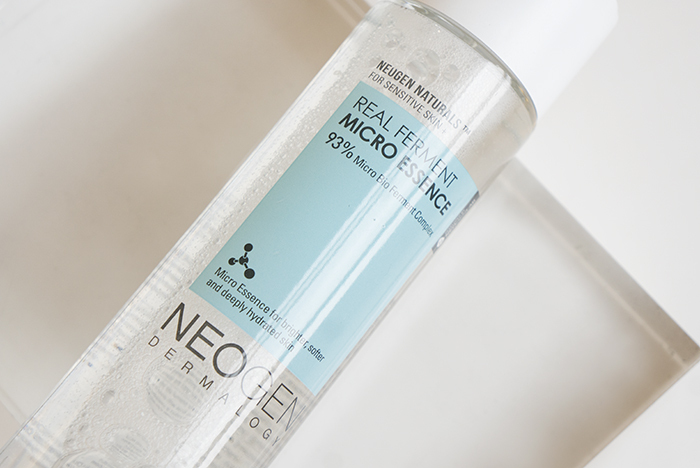 Outin Futures is the R&D lab behind the popular K-beauty brand Noegen, that just released the Neogen Real Ferment Micro Essence as a Soko Glam exclusive. 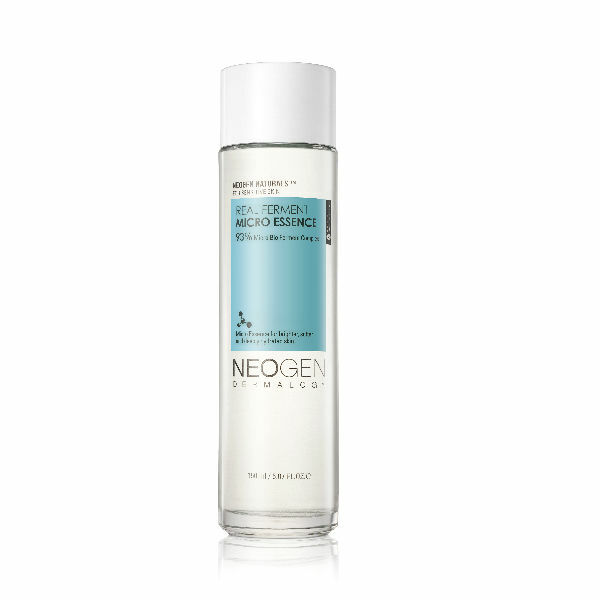 This waterless essence contains 93% fermented ingredients, namely Bifida ferment lysate, Saccharomyces Ferment Filtrate, Aspergillis ferment, and Rice Ferment Filtrate, to seriously hydrate skin and bring back elasticity. 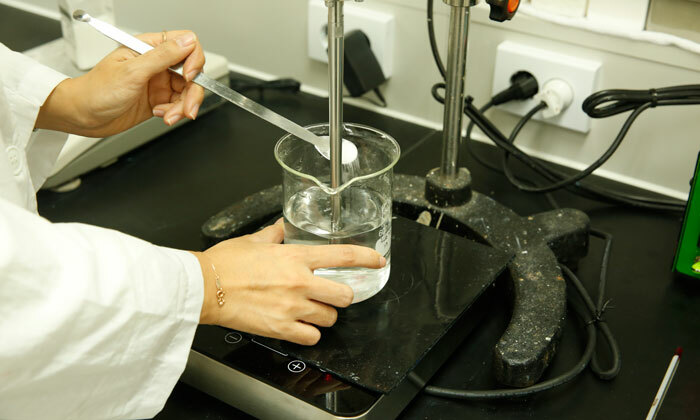 Luckily, we were able to take a sneak peak at the lab as well as the manufacturing facility to see how and where the Micro Essence gets made. 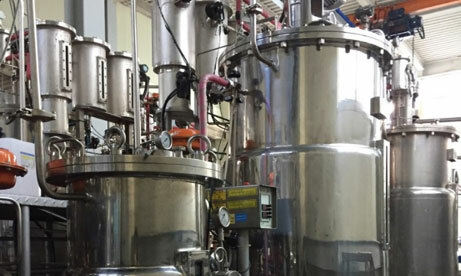 After the raw materials pass quality control, black tea is extracted and replaced with hydrating birch juice and bacteria that will start the fermentation process, like Bifidobacterium, Saccharomyces, Aspergillus, and Lactobacillus. It is then put in a dark facility at 86-159 ° F and 70-80% relative humidity to ferment for two to three days. The reason why the fermentation process takes a short time (compared to fermented foods like kimchi, for instance) is because prolonging fermentation can lead to decomposition of the ingredients. After two to three days of fermentation, it is then filtered and enriched with rice ferment filtrate and preservatives like Phenoxyethanol and Ethylhexylglycerin. After another round of filtration, it is then packaged, checked for quality assurance, and then shipped out. 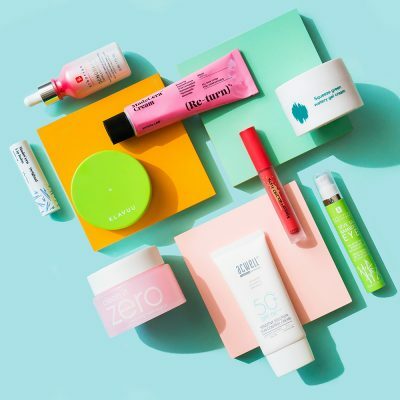 Using fermented products is an excellent way to hydrate and nourish your skin without the worry of skin irritation (though you should always patch test, just to be sure). The vitamins and antioxidants that are created during the fermentation process can strengthen skin barrier and improve skin health. +What are your favorite fermented skin care products? Share with us in the comments! 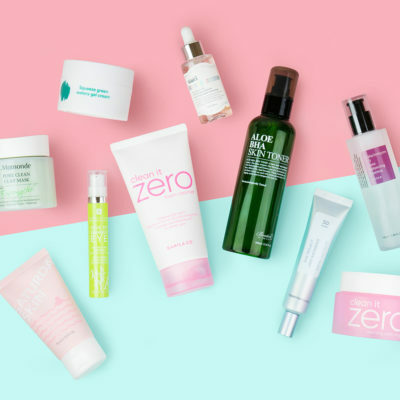 Skin Care FAQ: Are Expensive Products Worth It?